When you want your skin to look its best today, tomorrow, and years from now, do it with New Day Aesthetic Medicine and PCA SkinⓇ facials. In the Hood River, Oregon, office, Eric Jorgenson, ND, strives to help each patient reach their specific skincare goals, whether it’s to hydrate, detoxify, or revitalize. 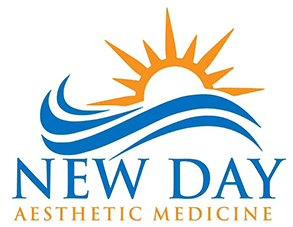 If you live in or near Hood River and want to have the healthiest skin possible, contact New Day Aesthetic Medicine today. Call the office, or go online to use the booking tool. What kind of facials are available? At New Day Aesthetic Medicine, Dr. Jorgenson and his team offer the innovative PCA SkinⓇ facial products. Available only through educated and licensed professionals, PCA certifies each and every doctor before they can administer the medication. Depending on what your skin care goals are, Dr. Jorgenson recommends one of the various professional skin peels from PCA Skin. These peels exfoliate your dead skin and promote the emergence of fresh, new skin. When completed as a routine part of your skincare regimen, you can even your skin tone, improve acne, and erase the signs of aging. What kinds of facials and peels are available? Back Peels: Using PCA formulas, back peels are specifically designed for the body and acne prone skin; these peels work to smooth and clarify. To make the process of choosing facial serums easier, you can look at the options in categories, by skin type, or based on what your primary concern is, like anti-aging or acne. How do I care for my skin before and after a facial peel? Dr. Jorgenson recommends PCA Skin products as both pre- and post-facial treatments. Pre-treatments ensure your skin is prepared for the skin peel, enhancing the peel’s effects and results. Getting your skin as healthy as possible before your treatment also lowers your risk of complications. He also suggests using a post-treatment product. Specially designed to minimize side effects after a facial peel, a post-treatment encourages healing and the development of strong, healthy skin. 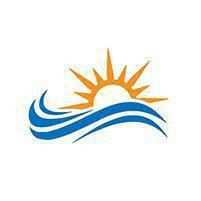 To find out more or to schedule your initial consultation, go online or call the office today.